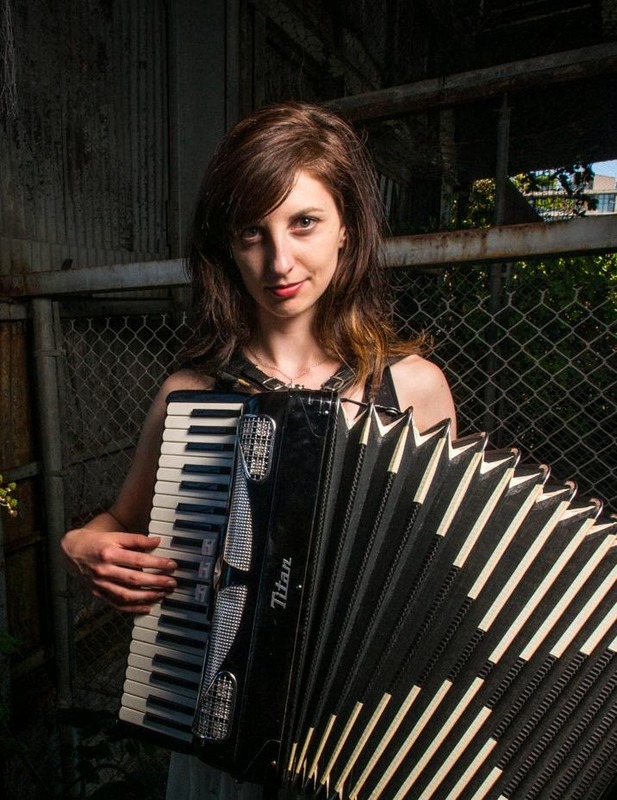 Barbara and her accordion feature on March 8th. How would you describe your approach/style of spoken word? My approach has changed quite a bit over the years. These days, I'm mostly interested in the intersections of text and music, so a lot of my 'spoken word' is really something in-between lyric writing and storytelling. I really love the sound of people speaking (well, most people), so conversational language in performance and audio is something I pay a lot of attention to. I like the idea of performing 'reality,' but better. So, even though I know that most people don't go around speaking with internal rhyme and metaphor, I like working on those little self-consciously 'poetic' techniques to make them feel casual, or understated. I like it when things move me without screaming, "loooook at me!!!! I'm so deep!" 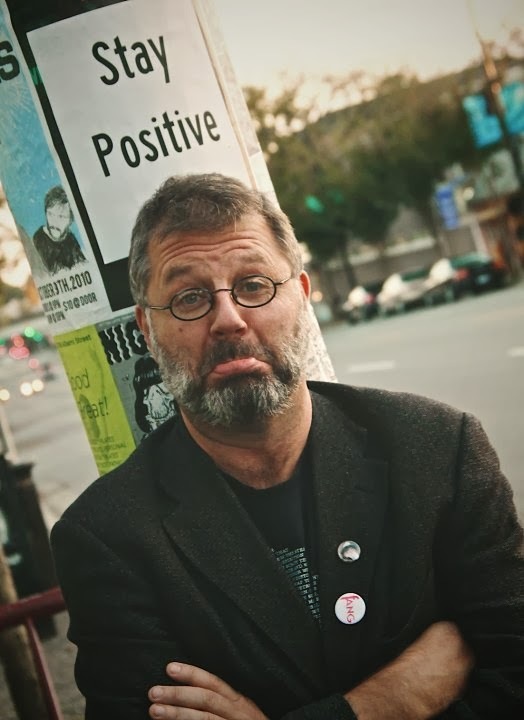 I think comedy is great for that, but I'm also aware that if I say that my style of spoken word is 'funny', I risk being the most disappointing, un-funny jerk ever. You've been engaging with storytelling with the BC Memory Project - what has it taught you about our role as storytellers? The BC Memory Game has made me think deeply about the loaded connotations of taking on the stories of others. I think that we sometimes assume that telling a story that calls attention to a 'real' person, issue or place is inherently good. I'm not so sure about that now. There can be such a power imbalance between the person who is speaking and the person who is represented. I had a huge revelation about this when I heard Stuart McLean tell one of his stories about Vancouver. I'd always really appreciated the cute, slice-of-life introductions he shares about the towns where he records his live shows. I thought it showed a lot of care to come to a place early, learn about the people there, and reflect this kind of affectionate postcard back to the locals. But the Vancouver story was totally wrong, which is to say, it was slightly wrong. I hated that, which made me reconsider his stories from places that I didn't know as well. What do you miss when you pack something into a neat, definite snapshot? I think storytellers should be seriously stressed about their role, but I mean that in a good way. We get so much of our information about the world through narrative, so there's a big opportunity there to actually change how people think. What inspired you to create Pathetic Fallacy? Pathetic Fallacy is a series of wordy songs that tell disastrous stories about young love in the language of weather. It combines three of my guiltiest fascinations: descriptions of dramatic weather, 60s-girl pop and melodramatic stories about young love. I don't know about you, but the words "snow squall" instantly transport me to somewhere more exciting. I can't believe it took me this long to come up with a project where I could legitimately memorize cloud names and look at pictures of mackerel skies and sun dogs. I'm also digging deep into the music of the Shangri-las (hello, 'Leader of the Pack' is AMAZING), and trying to learn how to self-apply 60s'-style eyeliner. If you are a teenager and you're reading this, my writing advice to you is to learn how to do eyeliner now, so that you don't have to learn this skill as a thirty year old. Raccoon eyes are way more adorable in high school. Fact. You work across genres and disciplines - why do you think the audience likes multi-disciplinary artists? I have a feeling that audiences don't specifically care so much about the number of disciplines someone has under their belt. I mean, sure, if someone is a writer-juggler-dancer-engineer, and they've written a manga-opera, you're probably going to want to check that out. To me though, 'disciplines' are just tools to make a connection with the audience. The late Jack McCarthy told simple stories in an unadorned voice, and he connected better than anyone. You should link to his poems in this blog. If people care about stories, they need to know his work. What are you excited about at the Victoria Spoken Word Festival? It might seem to contradict my previous answer, but I'm excited to see spoken word artists put together a show that draws on disciplines that might be out of their regular comfort zone. I started performing spoken word in Vancouver at a time when slam poetry was a fairly new art form in Canada. The fact that people could get up on stage, with only a microphone, and completely mesmerize audiences-- that was mind-blowing on its own. It might have just been that I was 18 at the time, but it felt like what we were doing was 'cutting edge' in some way, or at least artistically risky in the fact that it wasn't completely accepted by the rest of the world. Now that spoken word has its own festivals, residencies, grants and educational programs, I think our next challenge is to make it risky again. I want oral culture to be a culture-culture, and for that to happen, we have to keep switching it up. Asking poets to do something that has a chance to fail seems like a great way to do it. It's counter-intuitive, maybe, but I think people should come out in droves to this festival, because we're going to witness something that might not work. I think that's one way to make art brave. So, bring it, festival participants-- I am very excited to see you sweat. Check out Barbara's unique accordion poetry. 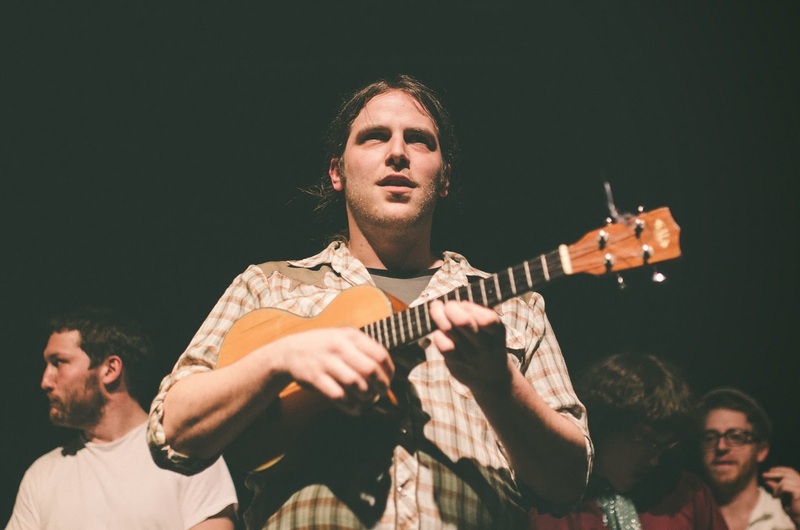 Okay – so maybe you’ve never been to a spoken word show before. Maybe the last time you heard poetry was in your Grade 11 English class and Beowulf didn’t really do it for you. Maybe your friend really wants to go to this Victoria Spoken Word Festival, but you don’t know what to see. 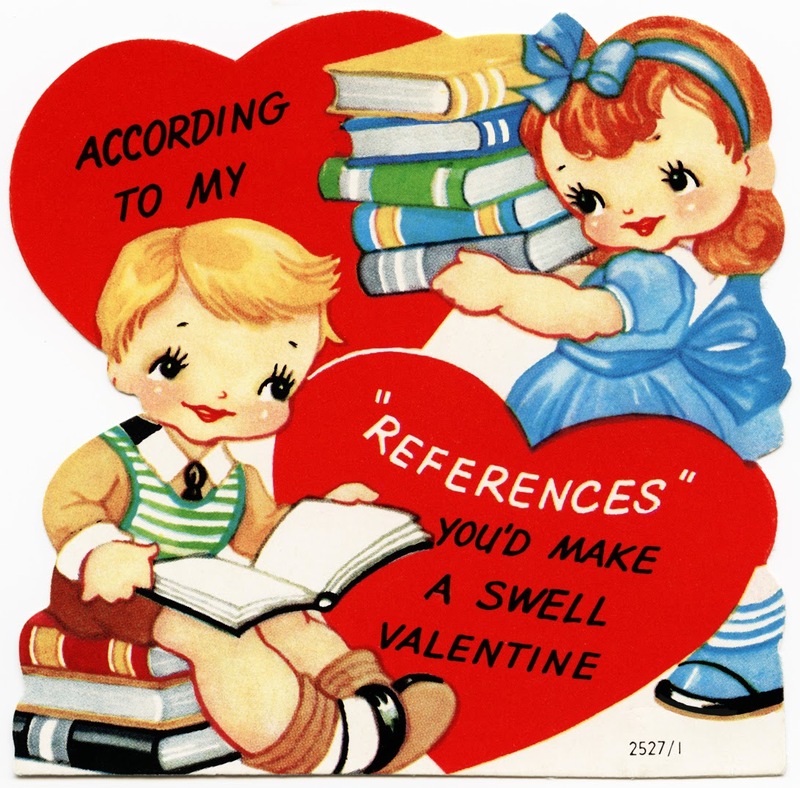 Well read on my friend, because we’ve got you covered! Spoken word is a HUGE category – it can include stand-up, hip-hop, monologues, storytelling and spoken word poetry. Basically, any oral performance (except that one you dirty human). The Victoria Spoken Word Festival is primarily focused on spoken word poetry, although this year we’re also exploring stories as part of our theme ‘Inside Story’. Does this look like poetry to you? Spoken word poetry is poetry that has been written to be performed in person, on stage, out loud. It’s often rhythmic, engaging and easy to understand (because you only get to hear it once). It can play with sound, styles of speech and even personas or characters. It’s a pretty varied art form and a lot of fun to watch. Wow! How do I get tickets to this mind-blowing festival? There’s a reason they call him Mighty. 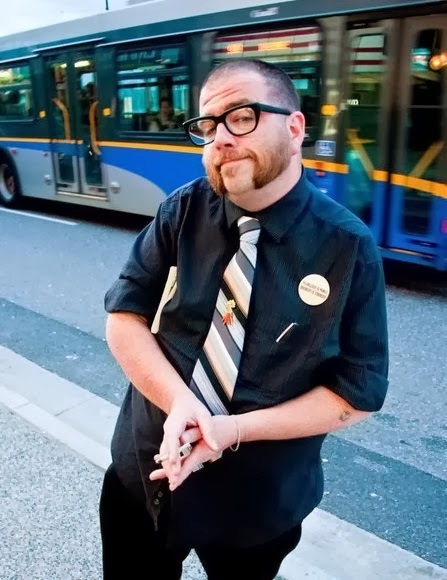 Mike McGee is returning for the second year in a row to the Victoria Spoken Word Festival, and in addition to performing at the festival launch party he’ll be hosting the Friday Festival Ensemble Showcase with his poetry twin, Dave Morris. There's a reason they call him Mighty. You've been known as a stand-up poet. What's inspiring you these days? Oddly, my most recent comedic inspirations have been very heavy subjects. Lately I've been reading up on a lot of predatorial abuse, social justice and equality issues. Very socially political and frustration-inducing stuff. Being a white American male, I have been trying very hard to answer to that with myself, to see how I perpetuate racism, sexism, misogyny, and to confront all of my prejudices directly. I know this doesn't sound like the work of a comedic poet, but I believe it should be. A number of very intelligent comedians and writers have been inspiring my work. Since I have a knack for finding the humor in the headiest situations, I am trying to find a finer balance between comedy and poetry. How to make people laugh without hurting others in the process. How would you describe spoken word to someone who has never heard or seen it before? 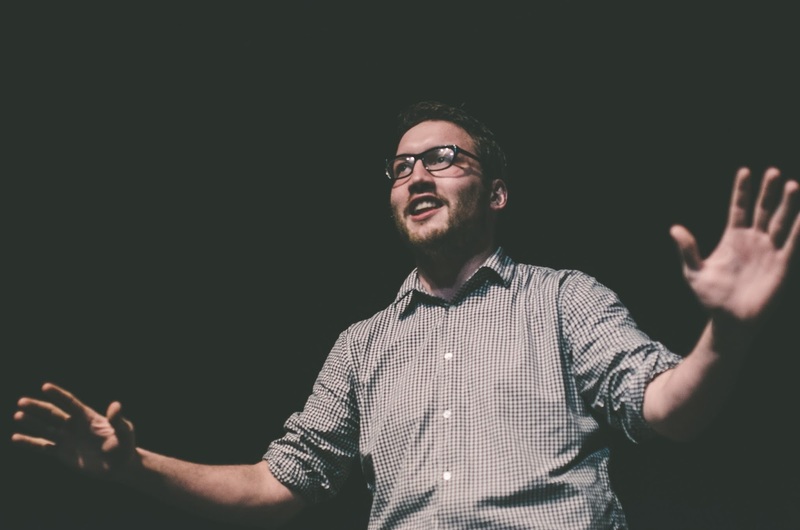 To me, spoken word is an umbrella term for any sort of writing intended to be said aloud and emoted, like stand-up comedy, presidential speeches, and poetry. Spoken word poetry is a beast! Others may refer to it as performance poetry, and that describes it well for those who've never experienced it. It usually performed by someone who has a lot to say, either spiritually, lovingly, angrily and/or politically. It's an uncommon outlet for everyday people to be a big bigger and badder than they might be at home, work or school. Everyone who attends a spoken word poetry event will hear and see something that resonates within them—and they won't spend much to be there! Mike and his twin Dave Morris hosting last year's Showcase. You were part of last year's festival - what is it that brings you back to the Victoria Spoken Word Festival? I am thoroughly drawn to witnessing the dynamic generated by eclectic groups of skilled performers to truly work together. Last year's VSWF had all of that and more. It was a true festival of spoken word. I had such a good time just watching the poets and performers putting together that final show that I am really looking forward to what this new crew will create. Plus, Victoria's audiences are some of the most loving and passionate crowds I've ever shared the room with. 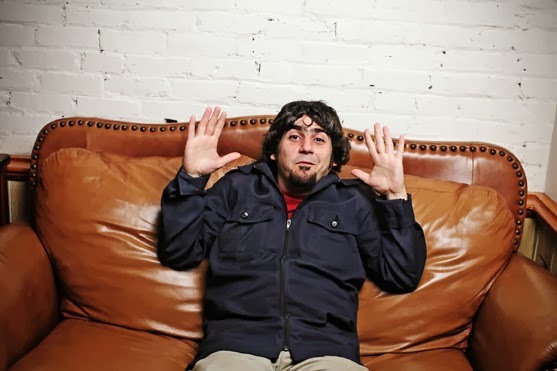 Mighty Mike McGee performs March 4th, and hosts shows throughout the festival. Find out more at www.victoriaspokenwordfestival.com. Get a festival pass online at Ticket Rocket. 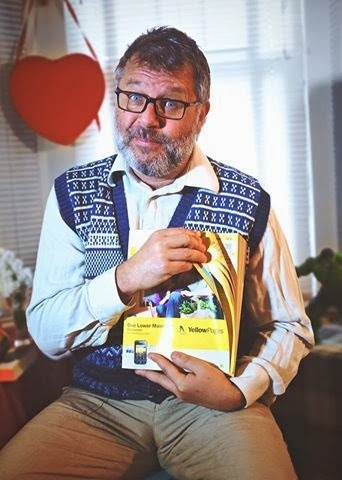 RC with his cruel phone book. RC Weslowski is a featured poet at this year’s Victoria Spoken Word Festival. 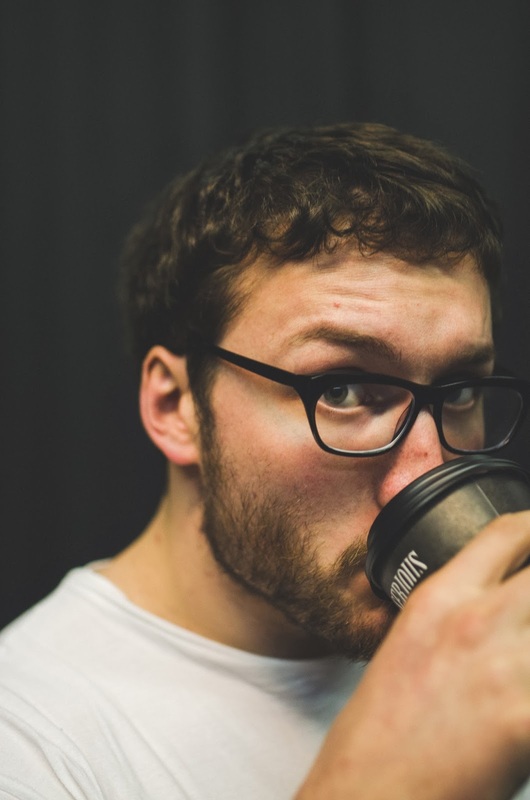 An award-winning spoken word artist from Vancouver, Weslowski is known for being on the bleeding edge of spoken word. This year he’s bringing his second solo show ‘The Cruelest Phone Book in the World’ to the festival. This is your second solo show. Why do you think spoken word works so well in this format? While my shows that I've written for Fringe are not what I would call "pure" spoken word since I incorporate clown and some acting as well as the words, I think theatre works well for spoken word because of the long form format. It allows the poet/performer to flesh out their ideas a little more and in my case create a dramatic arc and story that is filled with poetic elements but is not entirely poetry either. You’re known as a surrealist, a dadaist, and just plain weird. How would you describe yourself as an artist? I would describe myself as an explorer. I am trying to find the best way to connect with audiences in the moment. I like to experiment and do the things that excite me and hopefully by extension excite the audience too. You were the Poet of Honour at the first Victoria Spoken Word Festival. What makes this festival unique, for you? What I like about the Victoria Spoken Word Festival is that I think it embraces experimentation. It doesn't assume that spoken word has to be just one thing, it can have many variations and I really like that. A friend of mine mentioned to me just the other day that their friend said to them almost in frustration after seeing so many poets not take any risks "you guys are doing a fringe art form, you can do whatever you want!" And I think the VSWF is full of that kind of energy. RC Weslowski headlines at Storytime For Adults as part of the Victoria Spoken Word Festival. This month is Valentines, and for Valentine's Day we wanted to show our love for our amazing sponsors. First up is Intrepid Theatre - the home of the festival since the beginning. Intrepid has a mandate to support emerging and independent artists, and we are so excited to officially partner with them this year. Check out their next festival UnoFest in May! 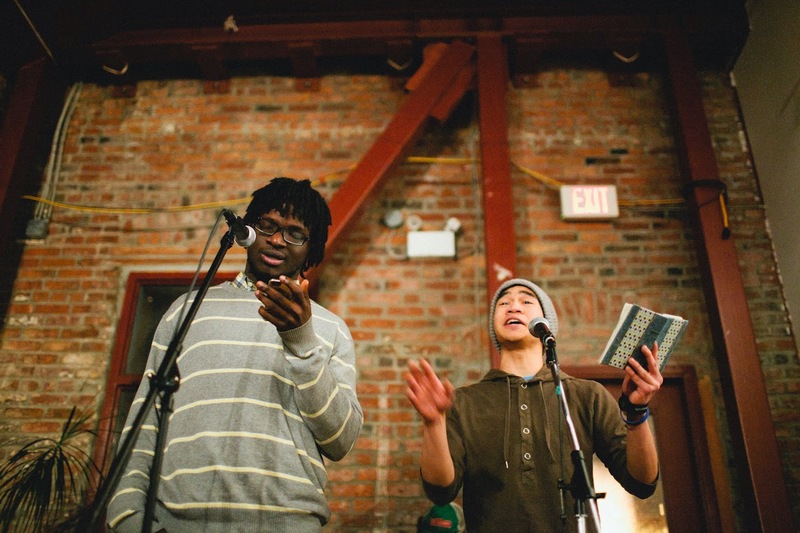 The Solstice Cafe is the home of spoken word in Victoria. They regularly host Tongues of Fire and Vic Slam there on Thursday nights - go check it out! But get there early, these events regularly sell out. Solstice if the official coffee sponsor for the festival, they'll be keeping our poets alert and happy. Two festival poets performing at Solstice Cafe. The Mint has hosted the launch party for the Victoria Spoken Word Festival for the last three years, welcoming the visiting poets with their funky vibe and great food. The Mint has a new lunch spot upstairs too - so check them out night or day! If Solstice is the host of spoken word, than Cenote's is the official hang-out of poets in Victoria. Super friendly and welcoming, and with a kitchen that's open late, Cenote's is a great spot to grab a drink after a show. You may even catch a festival poet there over the course of the festival! The Mint kicks it all off! UVic's radion station, CFUV has also been a sponsor for the last three years, and a great supporter of the local arts scene. This year, several of the festival ensemble will be doing a live performance on the air - March 3rd at 1:30pm tune in to hear a 'taste' of what the festival holds. One of the most important things in the festival (to us as hosts) is to treat our visiting poets as best as we can - and that includes feeding them! With the help of amazing local restaurants The Reef a great caribbean themed restaurant, Hernande'z Victoria's favourite Mexican restaurant, NoodleBox home of Victoria's original box, John's Place (a great breakfast joint!) and Stone's Throw (new comedy hotspot!) we're able to feed them delicious, local lunches every day. Shout outs also go out to Munro's for giving each of our ensemble members a journal (poets need pages!) and Roger's Chocolates for providing chocolates (poets need chocolates!) and to our great friends TEDxVictoria for helping get the word out about the festival. The Victoria Spoken Word Festival is also thankful for the support of the Canada Council for the Arts and the Conseil des arts et des lettres de Quebec. If you couldn't tell already - it really does take a community to put together a festival, and we are so honoured by the support and help of these businesses in our community. The Victoria Spoken Word Festival would not happen without them. So this February, why not show them a little love - go have a meal, buy a drink, a book or see a show at one of our fabulous sponsors. Because they deserve to be your Valentine. 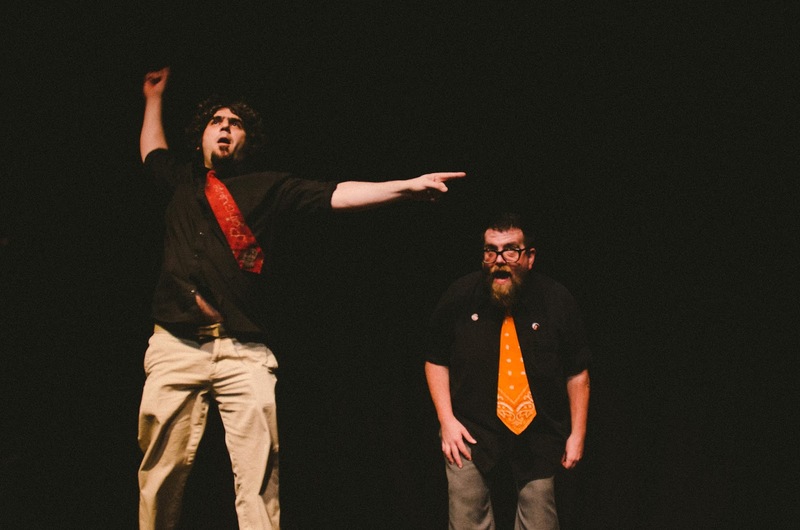 The Victoria Spoken Word Festival runs March 4-9 at Intrepid Theatre and Metro Theatre. Buy tickets online at Ticket Rocket. The heart of the Victoria Spoken Word Festival is the festival ensemble – 12 poets from all across the country who come together to workshop and perform together over the course of the week. Every year we’ve had one poet return from the previous year as our ‘veteran’. This year’s returning poet is Steve Currie, Winnipeg’s 2012 Slam Champion. Two years ago I would have steered far clear of an event described as “poetry for poets”. I wasn't a writer then, certainly not a poet, I was a comedian and a youth worker. I wouldn't go to my first slam for three months, wouldn't meet Missie for five or six. For me, then, “poetry for poets” evoked an image of be-tweeded academics reciting their home-spun Shelley knock-offs to one another; more power to them, but not exactly a hot ticket for me. I'm holding two cups of coffee, I purchased the one in my right hand because I had forgotten the one in my left. I was distracted, something was happening. That morning my ensemble had started writing a piece of poetry, that evening would be its premiere, and finale. It was the closing night of the Victoria Spoken Word Festival. On the stage my ensemble mates were deciding which yogic poses would allow them to construct a giant face with their bodies. 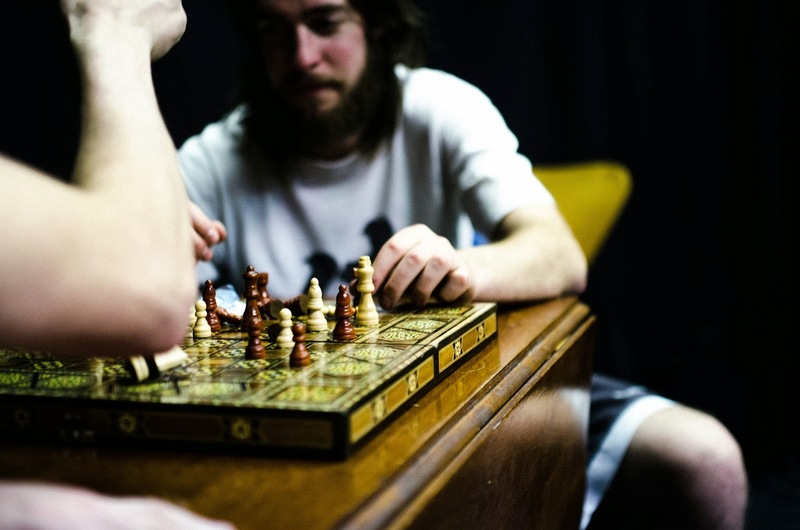 At my feet were about a dozen board games, I was writing short poem about a dead pawn. The whole theater was echoing the tune of a ukelele sea shanty, it had been written 20 minutes earlier and proved to be extremely catchy. I'm humming the chorus right now. This was poetry for poets, for the kids who had been to a hundred open mics, slams, features and workshops. This was poetry, but who would recognize it as such? It looked more like the puppetry workshop we had done earlier in the week, it sounded more like a particularly nonsensical shoot-the-shoot of the type we'd been having nightly at Cenotes. I was playing a chess player living eternally in the belly of a sea beast. Of course I was. The show happened, it was the culmination of a week's worth of workshops in writing, puppetry, mask, and physical theatre. It was the first collaboration of fourteen poets; the strangers and aquaintances and crushes who I was honoured to first call peers, then friends, then whatever we were when we made that show. Beastmates, maybe. I won't try and describe the piece. Find someone who was there. Don't ask them what it was about, but ask them how they felt about it afterwards. The people I asked said they were crying the next morning, that their hearts had changed shape, and about a hundred different ways of saying “dazed”. For me, it was the first time I felt like a poet. The route to that affirmation strayed a long way from the desk and the typewriter, and a lot closer to the jungle gym I played imagination games under as an eight-year-old. The festival- the performances, the workshops, the ensemble and the final beast- taught me that Capital-P Poetry, the stuff that crashes about your mind and leaves you itchy in your bones for more, is a far stranger beast than I ever would have guessed. This March, come see my new ensemble. See us write new poems, play with puppets, and feature our best material. You won't be disappointed, these are intensely talented people. If you are like me, you know this, because you have Youtube'd them. Come to these shows and expect to be impressed, provoked, delighted and seduced. You will be. But come back on Saturday, come and see the finale, the good stuff, the love song we write to ourselves and our art. Come see the poetry for poets. Get tickets online at http://ticketrocket.org/victoria-spoken-word-festival-2/. Visit www.victoriaspokenwordfestival.com to find out about the shows! Poetry is about making words and ideas come to life. Puppetry is about making ordinary objects come to life. So what do you get when you combine poetry with puppets? We’ll find out on March 6th at the Poeteers! show as part of the fourth annual Victoria Spoken Word Festival. This is a new show for the festival and came out of the success of last year’s puppetry workshop with Master Puppeteer Tim Gosley. 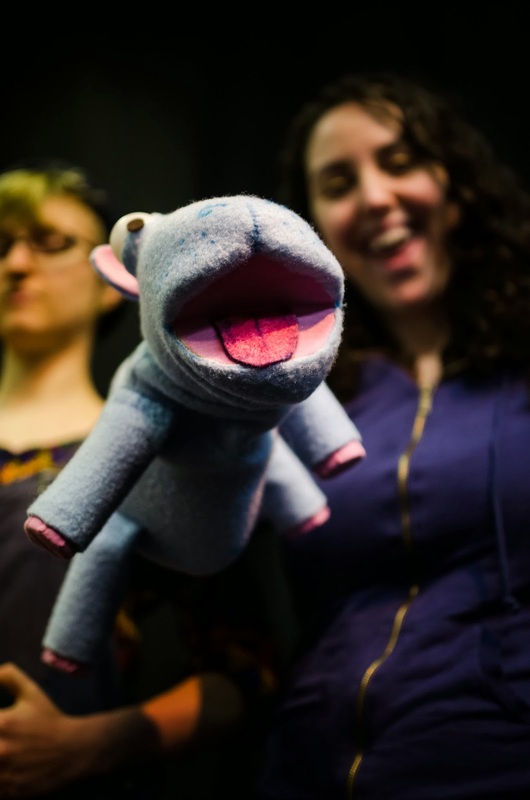 The poets had so much fun making and playing with puppets that this year we decided to go even further and pair the festival ensemble poets with local puppeteers and see what they can create together. 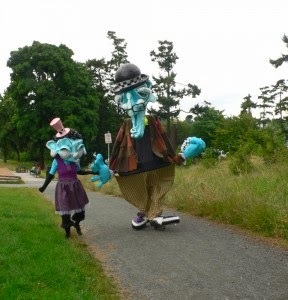 Victoria has a wonderfully vibrant puppetry scene – in fact in September 2013 Victoria will have an international puppetry festival! From shadow puppets, to transformed objects to giant puppets Victoria has a wealth of talent. Kathleen Greenfield – The director of Little Orange Man and Kitt and Jane, Kathleen is comfortable with the collaborative creation process and has a special knack for turning ordinary objects, such as vegetables, into puppets! 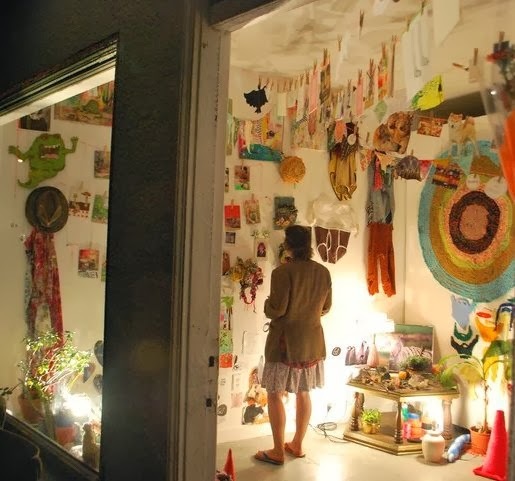 Julie Gennai is a puppeteer, artist and musician. She particularly likes playing with textures and using unique materials to make puppets. She likes puppets so much she once biked solo across Canada to study with the Bread and Puppet Co. in Vermont. Danika Boyce is writer, comic and puppet maker who sometimes writes plays and sings songs. She belongs to the Polestar Puppet Collective in Victoria. In addition to these fantastic artists, the Two Dope Boys, better known as Shayne avec i grec and Johnny MacRae, will perform a brand-new piece incorporating puppetry. 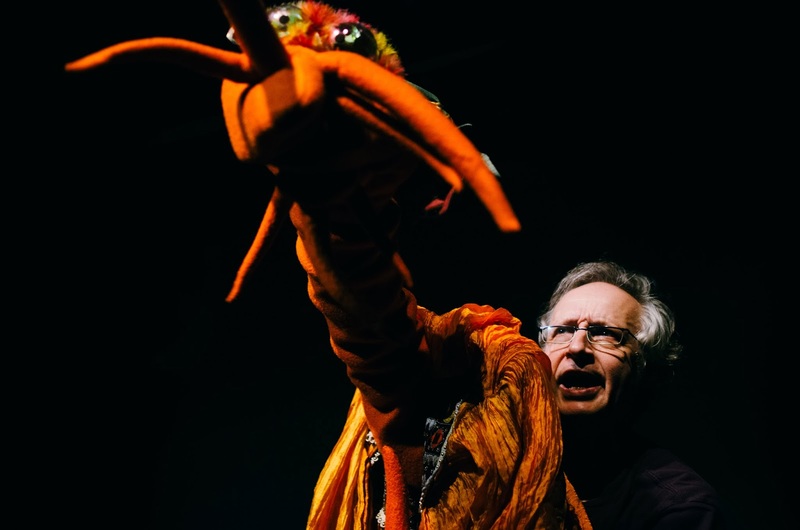 Closing out the evening will be Master Puppeteer Tim Gosley with a very special performance of P.K. 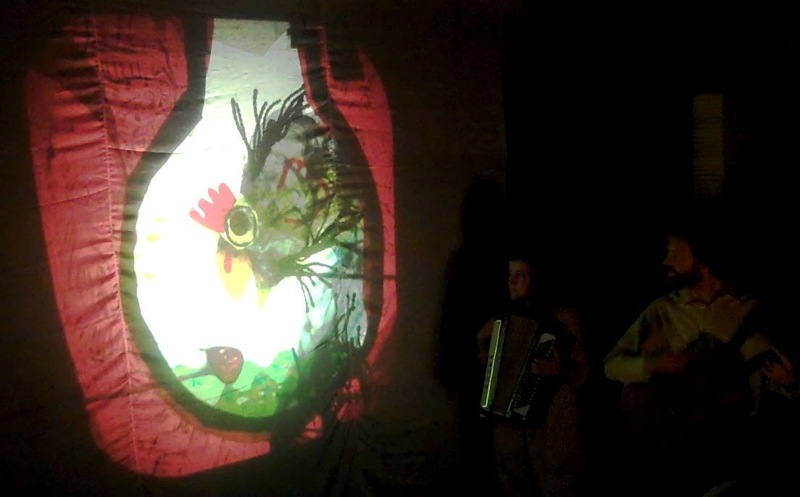 Page’s puppet play ‘The Blind Men and the Elephant’ using LED lights and shadow puppets. This is the fourth year for the Victoria Spoken Word Festival – bringing together more than dozen spoken word artists from across Canada to be the Festival Ensemble, plus spotlight performances by RC Weslowski, Mighty Mike McGee, Jeremy Loveday, 2 Dope Boys and this year’s Poet of Honour Barbara Adler. People’s first impression of an event comes from spotting the poster in the street, or picking up a flyer, or seeing the event on Facebook. So, the role of the graphic designer is absolutely vital. This is second year that the fantastic Meags Fitzgerald has designed the look for the festival (she also designed the 2012 festival). 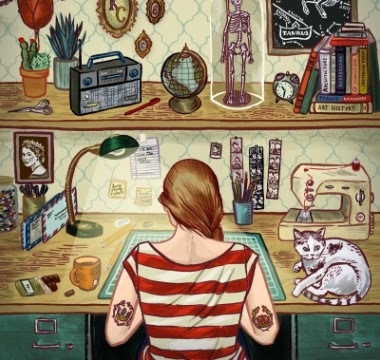 Meags is an illustrator, designer and exhibiting artist. She holds a Bachelor’s of Fine Arts Degree in Drawing and a Post-Degree Certificate in Design. She also does awesome things with photobooths, and is currently writing and illustrating a graphic novel, Photobooth: A Biography. If a designer is the audience’s first impression, then the photographer is the audience’s last impression – capturing the memorable moments and giving them back to the audience. Casey is a local event photographer. 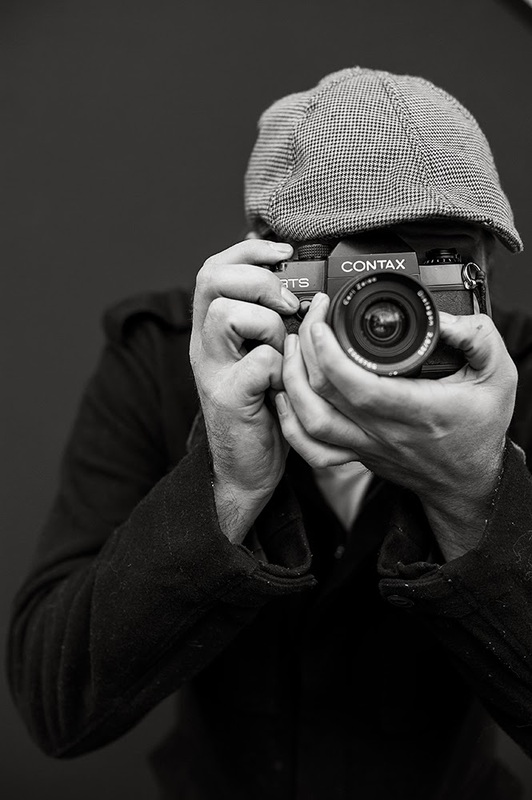 You can usually catch him behind the lens at live shows and festivals such as Rifflandia and TEDxVictoria. His specialty is protraits - see his street portraits on his website - and this year he'll be capturing each of our festival ensemble poets in their own portrait as well as live performances. The final product of the festival is the Finale: Inside Story – a show completely conceived , written and developed in one day. But in order to do this, and make it something wonderful on the other end, you need someone to herd the cats, to shape the vision and to guide the artists in collaboration. That someone is Dave Morris. 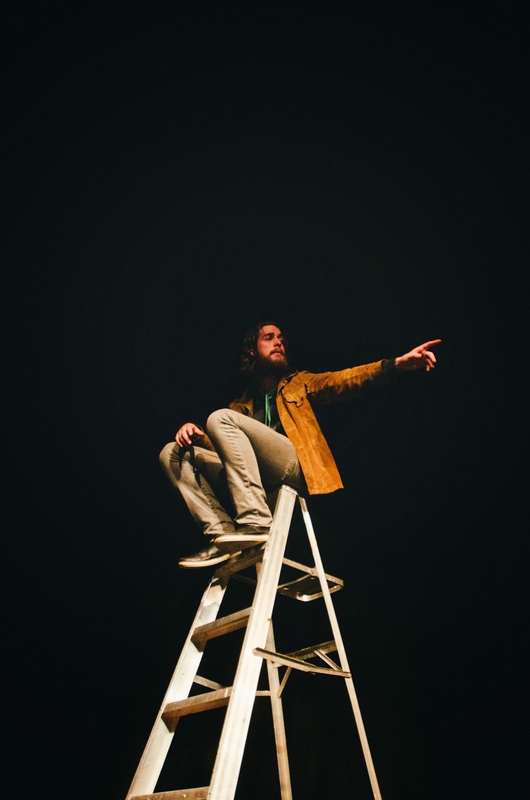 Perhaps best known in Victoria as a master improviser and leader of award-winning Paper Street Theatre, this is Dave’s second year as the Director of the Finale. He brings his ability to create instantly, his willingness to take risks and fail joyfully, and his love of collaboration to help guide the ensemble. Not Your Grandma's Poetry is proud to present the fourth annual Victoria Spoken Word Festival happening March 4-9, 2014 at Intrepid Theatre and Metro Theatre in Victoria, BC. The festival is six days of poetic innovation, collaboration and inspiration with more than 20 poets from across North America including Poet of Honour punk accordion poet Barbara Adler of Ten Thousand Wolves, "stand-up poet" Mighty Mike McGee and Vancouver's purveyor of weird RC Weslowski. The festival features an ensemble of more than a dozen poets who will perform new work each night. For more information about shows and poets visit www.victoriaspokenwordfestival.com. 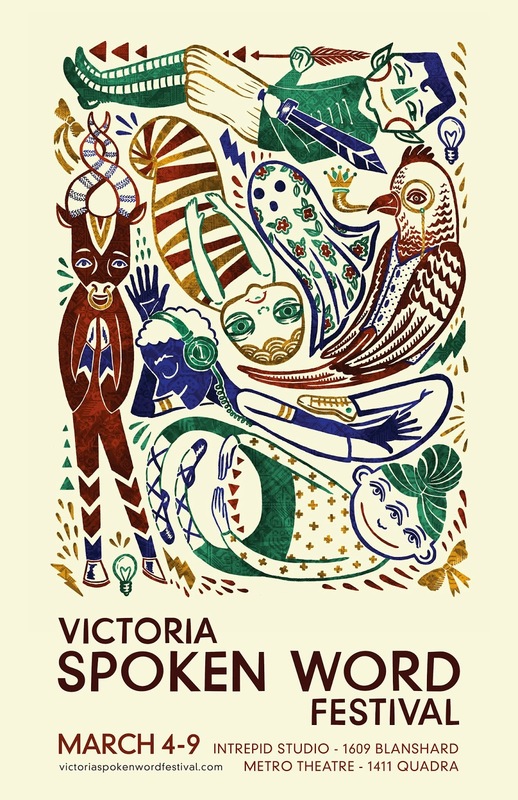 Tickets on sale at http://ticketrocket.org/victoria-spoken-word-festival-2/. 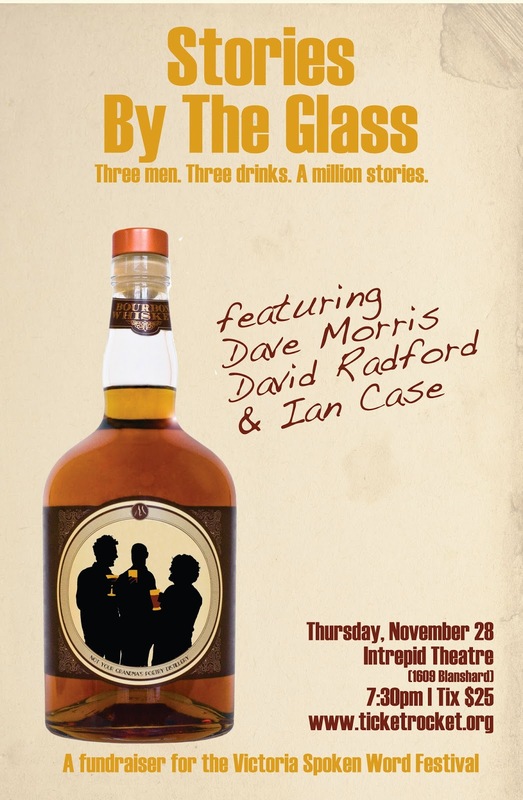 Stories by the Glass was the annual fundraiser for the Victoria Spoken Word Festival 2014. The show featured local theatre favourites Ian Case, director of Giggling Iguana, Dave Morris, master improviser and storyteller, and David Radford, director and actor at Launch Pad Prods on stage, telling impromptu stories while they shared drinks. The show was at Intrepid Theatre, a major partner of this year's festival. 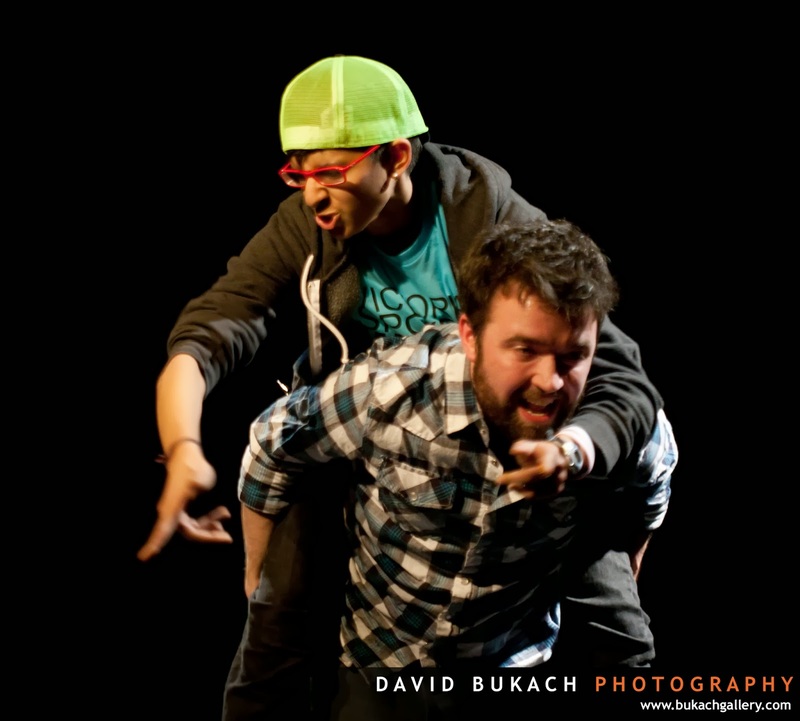 The Victoria Spoken Word Festival runs March 4-9, 2014.